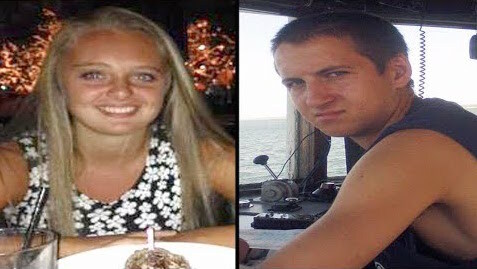 Michelle Carter guilty: Pictured the defendant and her former boyfriend, Roy Carter III who killed himself. 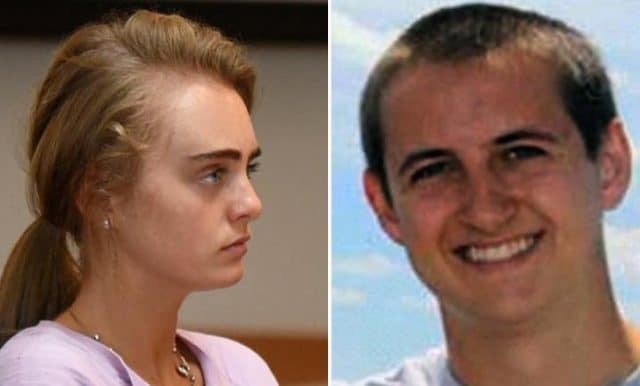 Michelle Carter guilty: Did a judge make the right decision in claiming a former girlfriend bore responsibility in her then boyfriend killing himself? A juvenile court judge has ruled that 20 year old Massachusetts woman, Michelle Carter is guilty of involuntary manslaughter after ‘barraging’ her former boyfriend, Conrad Roy III, with texts to commit suicide. In making its decision, Judge Lawrence Moniz said if it wasn’t for Carter’s incessant texts the boy would not have taken his own life. At the time of Roy’s suicide death, Carter was 17 when she sent her then 18 year old boyfriend dozens of messages urging him to take his own life. Roy was found dead of carbon monoxide poisoning in his pickup truck in Fairhaven, Massachusetts on July 12, 2014. Carter will be sentenced on August 3. 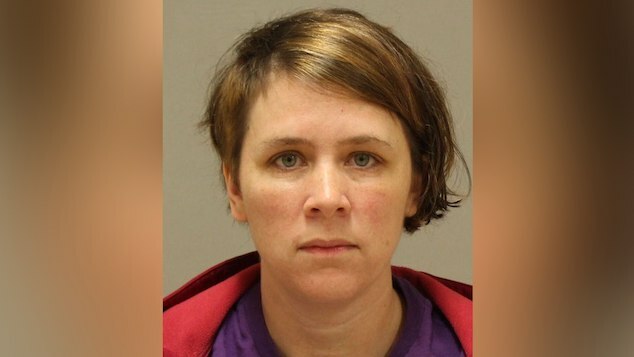 Her sentence could range from probation to 20 years in prison. In making their case, prosecutors said Carter had pressured Roy in taking his own life after sending him a torrent of text messages. At one point, a ‘frightened’ Roy had gotten out of the truck that he had intended to kill himself in via carbon monoxide, only to have Carter demand Roy to ‘get back in’ his truck. During the trial, Carter’s lawyer argued that Roy had attempted suicide previously and made his own decision to take his life. He also said that she initially tried to talk him out of it. Carter had waived her right to a jury trial leading to Judge Munoz to solely issue a guilty verdict where Carter had failed in her duty to Roy. Told the judge, ‘Instructing Mr. Roy to get back in the truck constituted wanton and reckless conduct, creating a situation where there’s a high degree of likelihood that substantial harm would result’. Munoz also noted Carter had taken no action to help Roy by calling either police or his family despite knowing of his plan and location. ‘She did not issue a simple additional instruction: Get out of the truck,’ Munoz added. 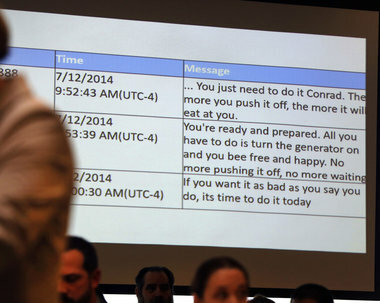 Michelle Carter guilty: Texts the defendant had sent Conrad Roy imploring him to kill himself. Roy’s handwritten suicide note was shown in court on Tuesday as prosecutors delivered their closing arguments. In the note addressed to Carter, Roy had thanked her for her ‘effort and kindness’. The court also released Roy’s suicide note to his father, in which he expressed his love and his feelings of inadequacy. 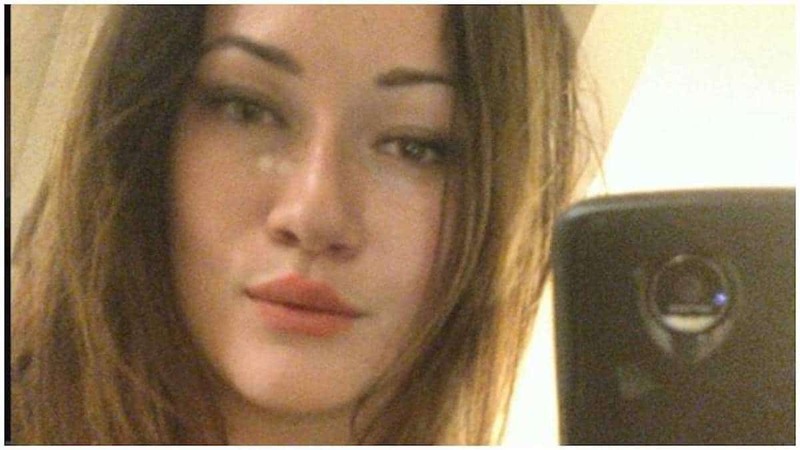 During her trial proceedings, Carter’s defense team said the girlfriend was a ‘very troubled youngster’ who was on psychiatric drugs that left her unable to feel empathy when he then-boyfriend killed himself. Psychiatrist Dr Peter Breggin testified that Carter was taking Celexa, an anti-depressant targeting the brain’s frontal lobe, which controls decision-making and empathy. Breggin said Roy talked about how he wanted to kill himself with a younger and emotionally troubled Carter. He said Carter eventually endorsed Roy’s wishes. The psychiatrist said he reviewed all the text messages and Facebook conversations between Carter and Roy. He said that beginning in 2012, Roy told Carter he wanted to kill himself and said there was nothing she could do to stop him. 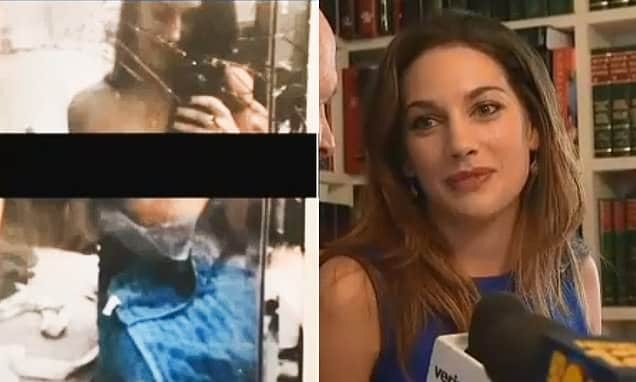 Yet perhaps reaffirming a guilty decision against Carter was a text message she sent to a friend from high-school about two months after Roy’s death, admitting she was to blame. 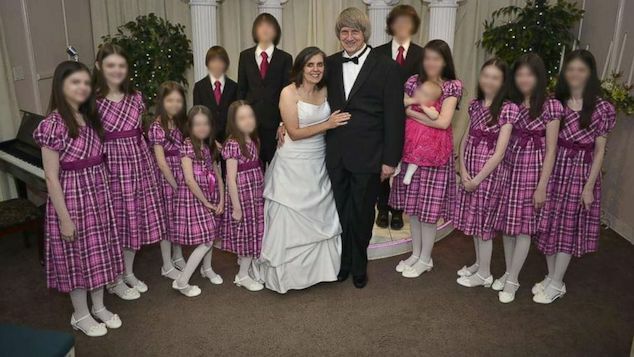 In the aftermath of the court’s decision, many commentators vindicated Carter’s guilty verdict, blaming her for conspiring to bring her then boyfriend’s life to end and taking advantage of the troubled teen, whom she knew to have previously attempted suicide in the past and was morally obliged to help. Others meanwhile wonder despite Carter’s pleas for Roy to kill himself, that ultimately it was the boyfriend’s decision, to get back in the automobile and turn on the ignition key. Or was it? Michelle Carter guilty verdict has me torn. Is she a terrible person? Yes. Encouraging suicide is a crime? Not so convinced. Do you agree with the judge’s verdict (guilty of involuntary manslaughter) in the Michelle Carter case?